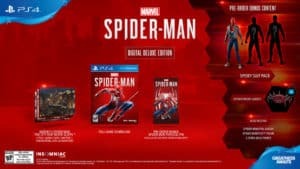 Spider-Man Lands on PS4 in September | Nerd Much? Game Informer began teasing their month of exclusive Spider-Man coverage yesterday. And the biggest news stemming from the tease was that they would be revealing the game’s debut date tomorrow – which is now today. The outlet stayed true to their word. 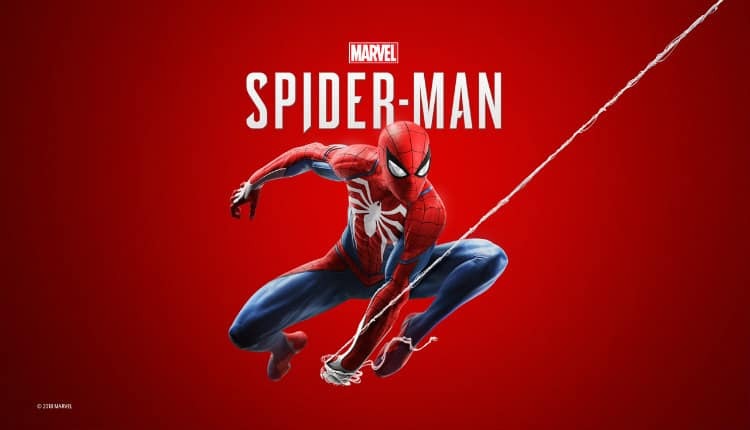 They’ve announced that Insomniac Games’ Spider-Man will be landing on the PlayStation 4 on September 7th. It’s almost time to go get ’em, Tiger. This is huge news, of course. Fans have been clamoring for a release date for the game for months upon months. Many speculated that the project was in trouble due to the lack of a launch window. But following today’s reveal, the drama feels for naught. Spider-Man made its first surprise appearance at Sony’s E3 press conference in 2016. The game runs on a modified version of Insomniac Games’ Sunset Overdrive engine. Insomniac has shown off some impressive web swinging mechanics for the game in the few trailers they’ve released. The title also seems to sport plenty of quick time events during cinematic portions of the game’s narrative. We’ve only seen snippets of plot details up to this point. We know it revolves around an experienced Peter Parker/Spider-Man. He’s 23 and has been fighting crime for years now. 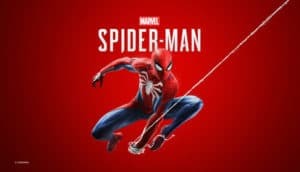 The game will feature segments in which the player controls Mary Jane, as well as Peter Parker outside of his Spider-Man persona. Miles Morales has also been seen in a trailer, hinting that he may have a role within the game too. Wilson Fisk is involved early in the game’s story. Following his arrest, a new gang known as the Inner Demons emerge to take over Fisk’s territory. An obscure villain from Spider-Man’s comic library, Mister Negative, is the leader of the Demons. He’s portrayed heavily in the game’s trailers. There will be several different editions of Spider-Man upon its release. The $59.99 standard edition will be available both digitally and via retail. 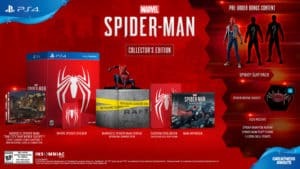 There will also be a $79.99 Digital Deluxe edition of the game. 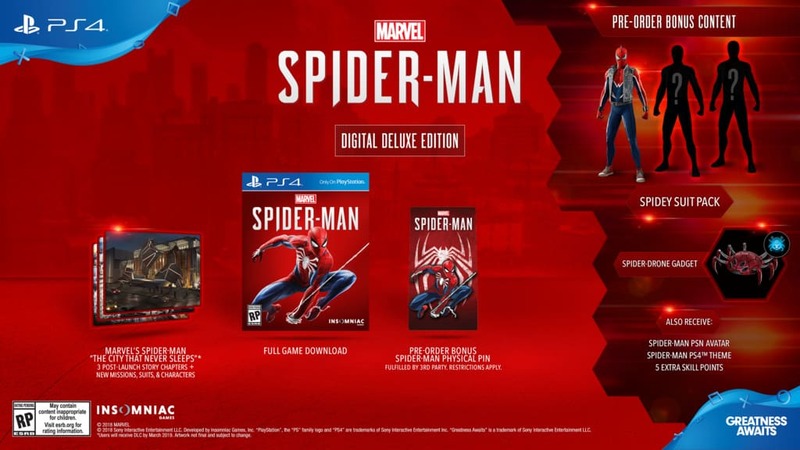 It offers a digital code for the title itself, as well as post-launch DLC that Insomniac is calling Marvel’s Spider-Man: The City That Never Sleeps. The DLC will consist of three new story chapters. It also contains additonal missions, new villains, characters and suits. There will also be a Collector’s Edition available for $149.99 while supplies last. 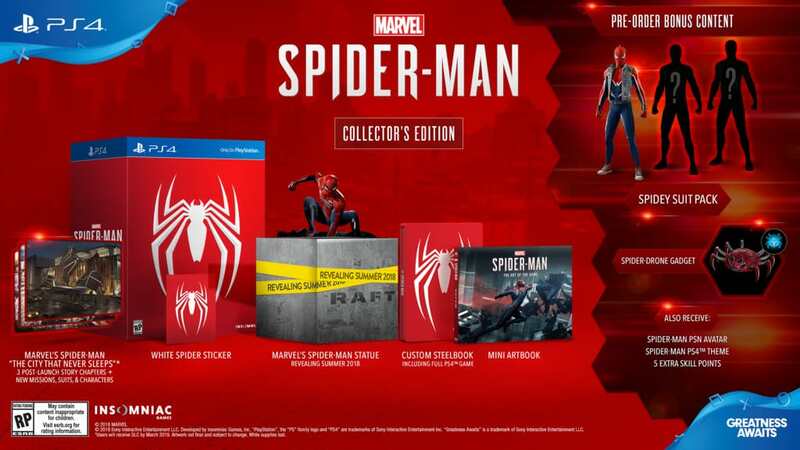 This package includes all of the content form the Digital Deluxe Edition, as well as a steel case containing a mini art book from Titan Books and a Marvel’s Spider-Man statue produced by Gentle Giant. We’ll likely learn much more about Spider-Man as Game Informer’s coverage continues throughout the month. But with the reveal that the game is coming in September, we know we don’t have too much longer to wait to get the game in our very own hands.